They are made simply with a sugar cookie recipe divided into thirds, with one section tinted red, one pink, and one white (yes I did use white gel to try and achieve white). 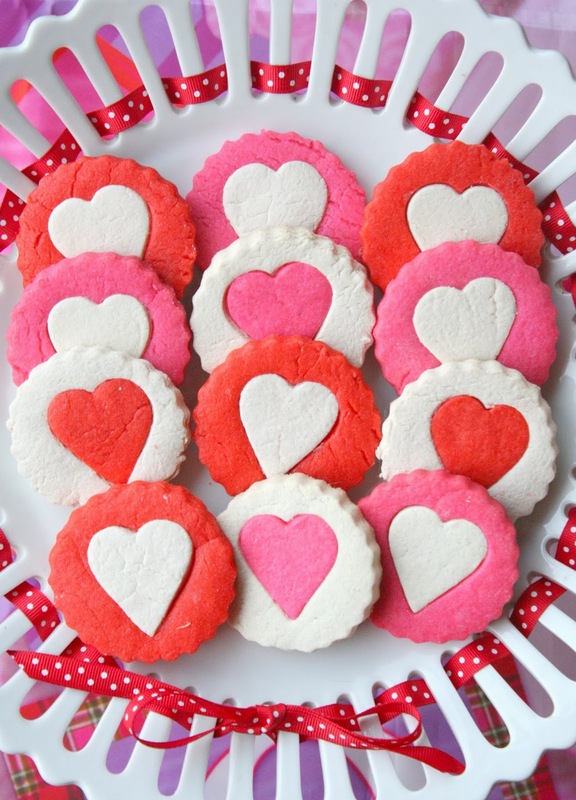 The next step is to use a round cookie cutter to cut out the base cookie and then, using a smaller heart cutter, cut out a heart from the center of the circle, and set it aside. Do this for each cookie round. 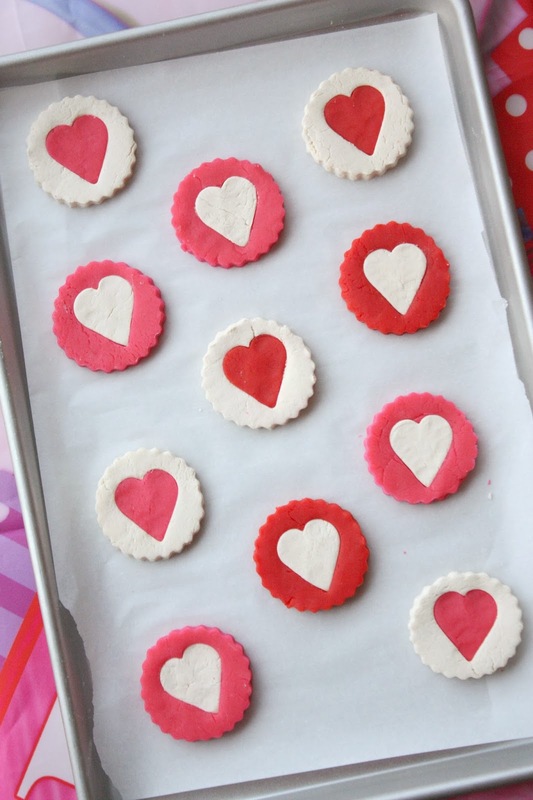 Lastly, place one of the set aside hearts (in a contrasting color) into the center of each round, like a puzzle piece:) Bake according to recipe. Considering their simplicity, they still have quite a WOW factor, especially when you see them all together. So pretty! I also like them because they come together swiftly with no icing involved, and have less sugar for the same reason. Glad you like 'em, Jennifer:) Thanks for your comment! Adorable! Perfect for the coming V-Day! Love these Sue. I made a start version of these many years ago. 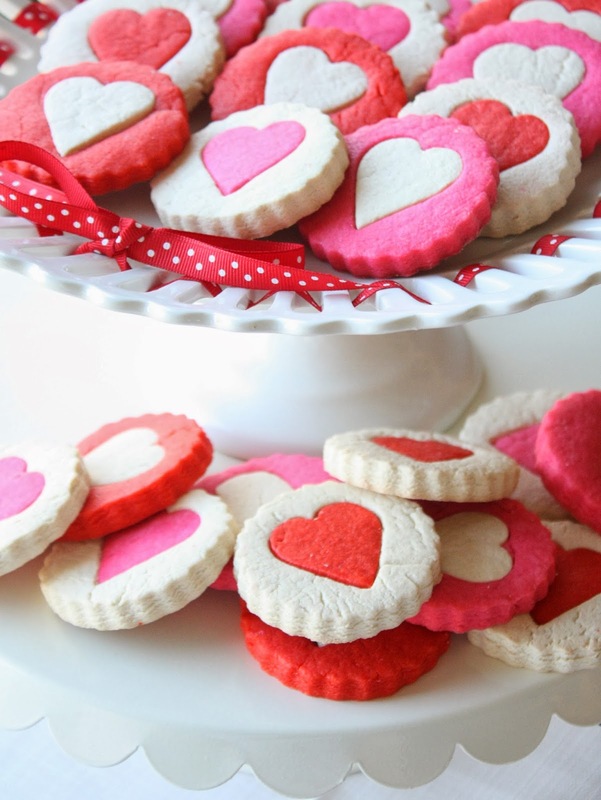 Love the hearts for Valentines Day and I think these would work up quickly for those of us "cookie challenged" people. I love the decorating without icing ... the mix and match of colors does all the decorating for you! Lucky friends! I agree, Brenda:) Thanks for your comment! 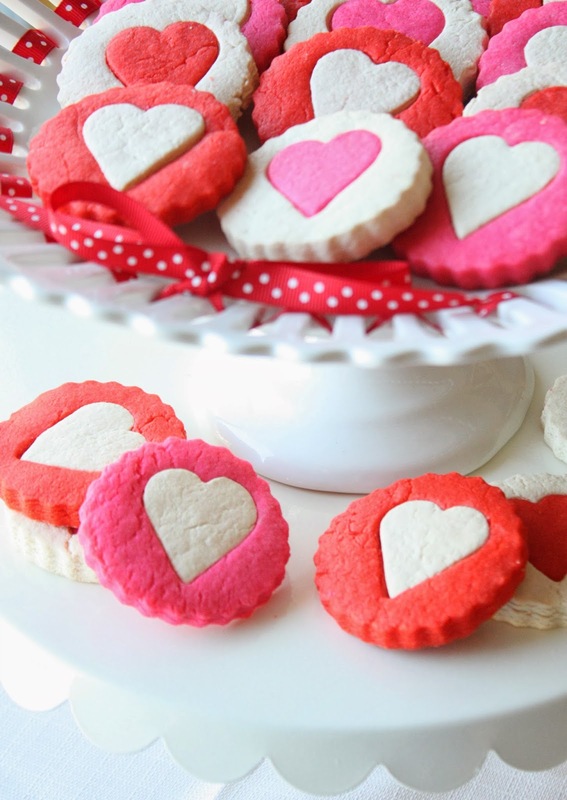 These cookies are so pretty - and yet they're easy enough that I could make them! Love this idea. Sue, these are incredible and so simple! The best combo! I love that you used white to color your dough. I have seen colored dough before but never with white! So clever!! Thanks, Mike! So glad you stopped by! So pretty and wow, simple and simply beautiful! Love it when the two go together! Incredibly easy and SO cute!! What a fantastic idea that experienced and brand new baked could make happen! Fantastic Sue! I love seeing different cookies for Valentines Day. These are lovely! So cute and festive! Love the bright colors. I love these! They are so festive and cheery. 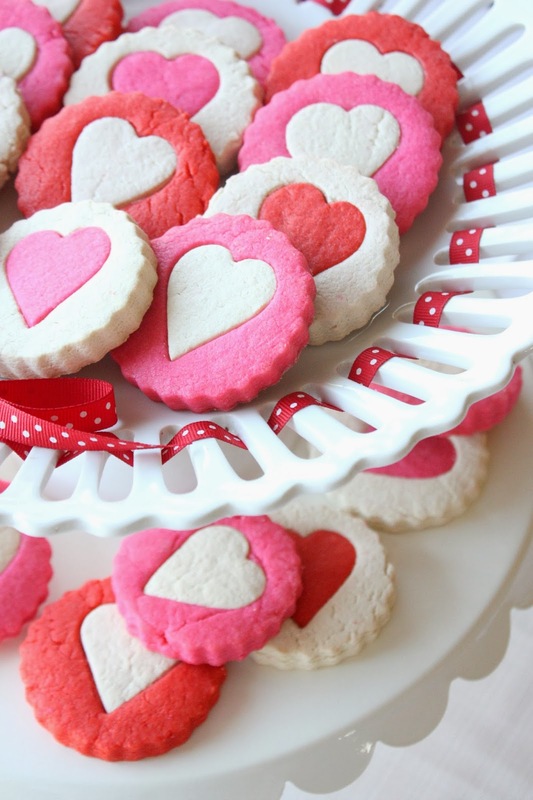 I love to bake for Valentine's, so these are going on my baking list for sure! These are soo cute and festive! Perfect for Valentines Day! These cookies look really toy-like. I would never have thought that they are real. I think it is a perfect solution for a romantic dessert for St. Valentine`s Day. The only thing that bothers me in this recipe is aren`t they too sugary? How cute are these, Sue!!!! They are so festive.